Longtime president of Heritage Funeral Home, Dennis Murphy has retired and joined Hennessey Funeral Home and Crematory as an ambassador. Under Murphy's leadership, Heritage grew to become one of Spokane's leading funeral homes. He is looking forward to bringing that experience and expertise to Hennessey. Murphy was President of Heritage Funeral Home from May 1999 to January 7, 2016. He is a current Board Member and a past president of the Washington State Funeral Directors Association. Also, he is a National Funeral Directors Association Policy Board Member for the State of Washington, and past President of The Inland Empire Funeral Directors Association. Murphy was awarded Best of the Best for best funeral operation in the United States 2 times. He instigated Memorial Day events that attracted thousands. 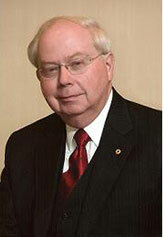 He is a former Rotarian and is currently serving on the House Committee and Endowment Committee of the Spokane Club. He is a former Verger at The Cathedral of St. John the Evangelist. For more information on Hennessey Funeral Home and Crematory go to hennesseyfuneralhomes.com. Bozzi Media, publishers of Spokane Coeur d'Alene Living magazine, has added the Penthouse at the Paulsen to their growing list of businesses. Besides having the best view in the city for office space, Bozzi is opening that coveted 17th floor former apartment for weddings, parties, dinners, lunches and company events. They will be opening later this spring, with Red Rock Catering handling the food and wine and helping with party planning. They plan to keep Mrs. Paulsen's beautiful apartment intact, and will have historical pictures on the walls of how she entertained friends and family for over 60 years high above Spokane, including pictures of the famous tree, gardens and fountain that so many of us marveled at before the ice storm of 1998 brought the big tree down. With three adjoining sunny rooms and an outside deck that is the epitome of elegance for any party or event. 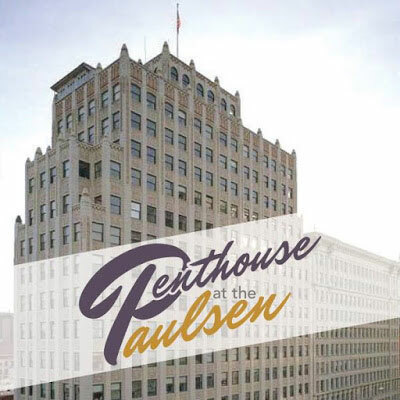 Go to Penthouse at the Paulsen on face book for more information. T-O Engineers, a full-service civil engineering firm providing planning, project design, land surveying, and construction administration services, has opened their newest office in Spokane, located at 121 W. Pacific Ave., Suite 200. With offices currently located in Meridian, Nampa and Coeur d'Alene, Idaho, T-O Engineers is looking forward to developing their reach into the Washington market. T-O Engineers Spokane Office currently has four team members and provides general civil engineering services. They will continue to grow their current disciplines including Transportation, Land Development, Wastewater, Municipal, Water Resources, Survey, and Aviation. They are actively looking for Project Managers in each of these disciplines to be service leaders in the Spokane market place. For more information go to their website to-engineers.com or call 509-319-2580. The Davenport Grand Hotel has earned a AAA Four Diamond Award, and is the only new addition to the AAA Four Diamond list for Washington. 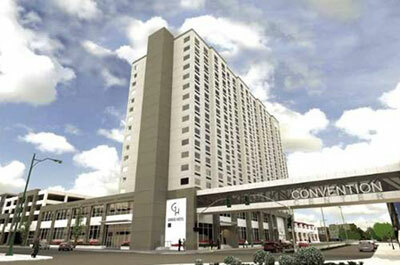 The Grand is the third Davenport property to earn the four Diamond recognition. The original historic Davenport Hotel and the Davenport Tower have also won that distinction for their world-class service and high industry standard for quality. Shine Blow Dry Bar announces the grand opening of Spokane's first Blow Dry Bar business. No cuts, no color, just fabulous styles. It's located at 2819 E 27th on Spokane's south hill. Shine Blow Out Bar is a hair salon that doesn't cut or color hair, only does styling, specifically styling with a blow dryer and round brush. Get the style you want for your special event, wedding, or night out on the town. Shine also does designer make up application and lashes. 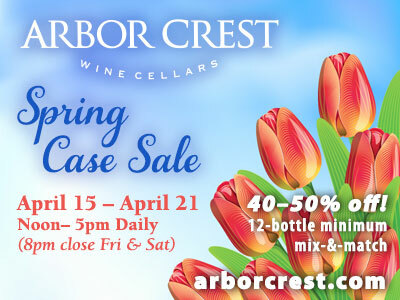 The hours are 10am to 6pm Monday through Friday and 9am to 6pm on Saturday. Closed Sunday. To make an appointment call 509-315-9050. You can get more information at Shineblowouts.com. The 5th Annual Leadership Gala is January 29 at 6pm at Northern Quest Resort & Casino. Enjoy a delicious dinner, hear from this year's award winners Scott Morris and Gloria Ochoa-Bruck. Take time to network and catch up with friends. Bid on a variety of fantastic items at the silent and live auctions, and end the evening dancing to Folkinception. The first 275 guests will receive a commemorative ornament. For tickets and more information go to leadershipspokane.org. Northwest Specialty Hospital has presented a donation of $45,000 to the Boys and Girls Club of Kootenai County. The funds will be used for the organization's new clubhouse in Coeur d'Alene. 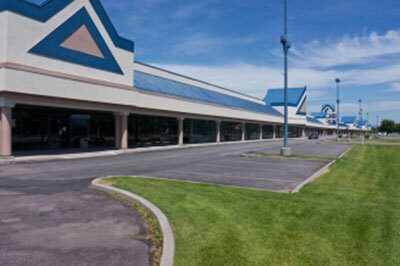 After years of sitting dormant along I-90 in Post Falls, the once bustling 180,000 square-foot Post Falls Outlet Mall has a new purpose. The property has been purchased by Tedder Industries, a Hayden and Coeur d'Alene company that makes gun holsters. Tedder, founded in 2010 makes a popular line of concealed carry holsters, employing 300 people. Tedder is one of the largest and fastest growing manufacturers of gun holsters and accessories for concealed carry in the United States. The company plans to use about half of the space in the outlet mall, consolidating their three locations into one. Company founder, Thomas Tedder, says they will lease the rest of the property to other tenants, most likely non-retail. Tedder Industries also makes holsters for handguns and leather gun belts. Most of the sales are online, but there will likely be a small retail presence at the new location. For more information on Tedder Industries go to tedderindustries.com. U.S. home sales rebounded last year with total sales in 2015 the most in nine years. According to the National Association of Realtors, existing home sales were up 14.7 percent last month to a seasonally adjusted annual rate of 5.46 million. Spokane sales were up 17.5%. Sales had previously plummeted as the industry adapted to new mortgage disclosure rules - a temporary downturn before delayed sales were finalized in December. Providence Sacred Heart Medical Center has received the Healthgrades 2016 Distinguished Hospital Award for Clinical Excellence. The distinction makes Providence Sacred Heart Medical Center one of the top five percent of more than 4,500 hospitals nationwide for its clinical performance as measured by Healthgrades, a leading online resource for comprehensive information about physicians and hospitals. Nationally, 260 hospitals out of 1485 eligible hospitals were recognized as recipients of the Distinguished Hospital for Clinical Excellence Award. Providence Sacred Heart Medical Center is among the top five percent of hospitals in the nation with some of the best quality care across a broad spectrum of common inpatient conditions and procedures evaluated by Healthgrades. 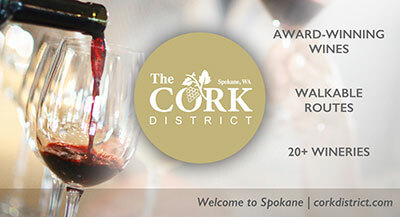 Spokane SCORE Chapter 180 presents two workshops this week. The first is Essential Small Business Social Media Strategies, and will be held this evening, Monday, January 25 from 5:30-7:30 at Startup Spokane Central, 610 W 2nd Ave. This workshop has been developed for users who are comfortable using Facebook for both their personal and business needs, but are looking to begin developing a strategy. Additionally, this seminar covers Twitter and LinkedIn strategies for your small business. After attending this workshop, you will have step-by-step instructions on how to build a Social Media Strategy to begin marketing your small business on social media sites. The second workshop is Small Business QuickBooks Financial Management, this Wednesday, January 27 from 8:30am to 12:30pm. A QuickBooks expert will guide you through using QuickBooks as a bookkeeping and financial management tool. Learn tips and shortcuts and get the answers to all of your QuckBooks questions. Learn the keys to financial management, along with resources and financial management practices. The Wednesday workshop will be held at the SBA Training Room, 801 W Riverside, Suite 444. Special New Year pricing, cost for four prepaid workshops is $80 (Regular price $125). Per workshop cost is $25 each with $15 for an additional partner (Regular price $40). Veterans discounts also available.